I purchased the model boat plan through for the Carvelle Minor from MyHobbyStore.com. The only problem was that the plans gave no instructions. I'm a newbie and had to carefully read the plans to make sense of them. 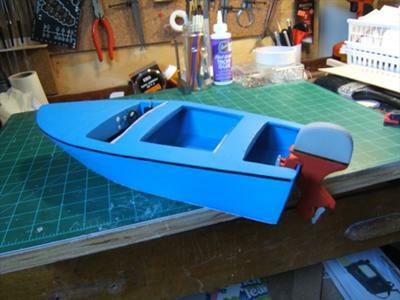 At any rate, the experience of my first model boat plan build was an enjoyable experience. I made some mistakes, but wood filler solves what you don't want seen. I don't know where I went wrong, however the bulkheads did not come out right. I discovered this in the planking stage. This particular model involves flooring, compartment walls, a seat, dash and windscreen. It was awkward not doing the building in proper order, however I didn't realize that. Naturally, it's easier to do floors and compartment walls, etc. before doing the hull. However, I succeeded! 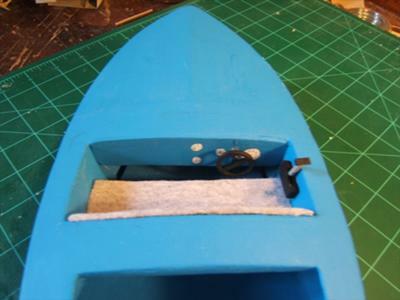 Pictures of the finished hull are attached, I have done the initial sanding and am working on setting up the dash with gauges, steering wheel and throttle control. The windscreen has to be constructed and installed, the final sanding, sealer and then painting are next. Final pictures will be posted to show the model once it's ready for display. I've not done a kit, they are to expensive for my budget. 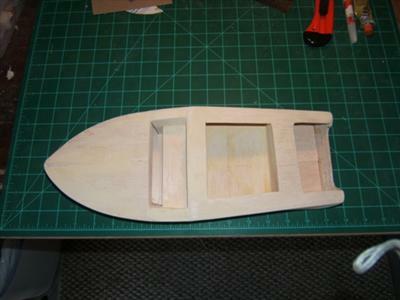 I purchased the plans for this model boat and have gone through a learning process in the build of this boat. I've made some mistakes, but am satisfied with the end results. I added, instruments, steering wheel and throttle control. 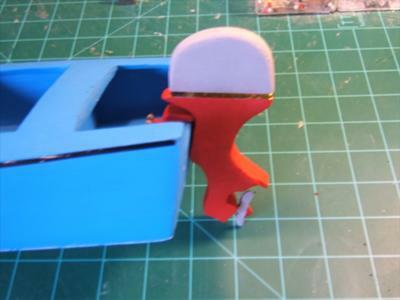 I'm in the process of "scratch building" from a diagram, an outboard motor for this model. The process I used was to trace the outboard motor from a diagram, made a template and then built the motor with pieces of 1/4" balsa. I cut four pieces, glued them together and then with the template as a guide sanded it down to the desired shape. I still have to figure out to do a three dimensional prop for the motor. I'm enjoying my new hobby, and learning as I go. I've completed two models, I scratch built several items that I'd like to share with the group. Steering wheel, throttle control, instruments, outboard motor have been scratch built. In the works are a "stern drive" and a "propeller."